The Apple Watch is still more than a month away, but the second model could land this year, according to one analyst. And it could have its own SIM card. That's according to Crown & Co. semiconductor analyst Timothy Arcuri. Taking its own SIM would mean the Apple Watch could connect to the internet without having to be tethered to an iPhone, greatly expanding the role of the wearable. Having returned from a trip to Asia to speak to people on the supply chain, Arcuri writes: "We got more confirmation of the likelihood of a 2.0 version of the Watch to be launched later this year that will not require iPhone tethering for full connectivity". The Samsung Gear S has its own inbuilt micro SIM card, so can make calls without pairing with a phone. Apple's iPad Air 2 was the first of its devices to feature the Apple SIM, which lets you jump between networks as cheap deals become available. 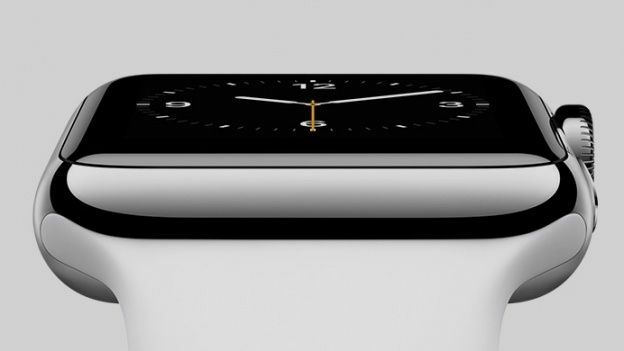 So it could well offer the Apple Watch with the same functionality. Apple is rumoured to have ordered 3 million units for the initial sales run, but Arcuri also said supplies of the first model were likely to be limited, so the Cupertino company could have another sellout on its hands. The second model is also likely to be the first with an OLED screen made by Samsung, he added. That same screen tech will probably make it to the iPhone, but not for a few years yet, he concluded.